In Honor of Longest Walkers of Long Walk 2 Northern Route in 2008 who passed to Spirit World. By Carl Bad Bear Sampson, Western Shoshone. 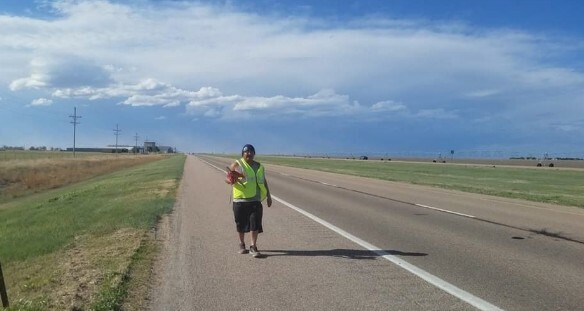 Long Walker Mucaw Jefferson, Quechan, was on the Longest Walk 2 southern route and passed to the Spirit World after returning home. Photo by Calvin Johnson, Navajo.